Next up Blondini answers our Northland Nine! 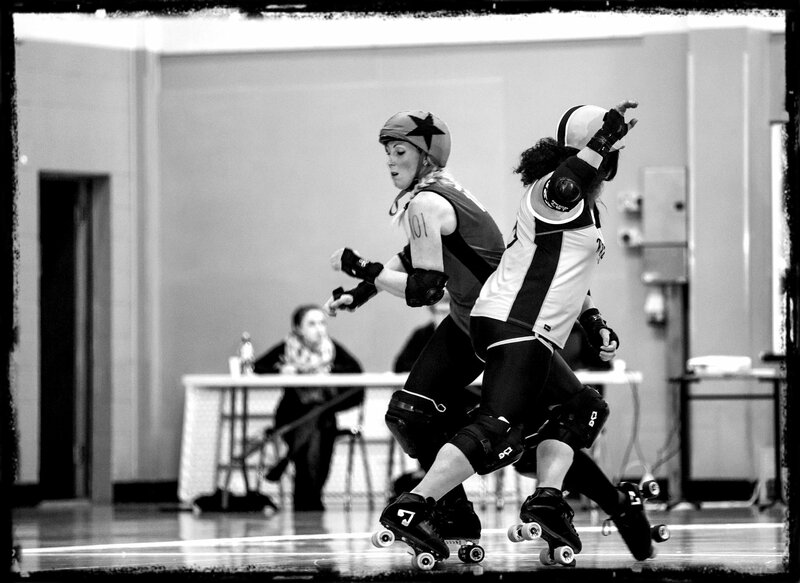 Yep many a jammer has made an unplanned exit off the track when she applies her signature move aka the *Supa-dupa-Swoop! *Official name just made up by the writer of these profiles. 2) What inspired my derby name: When I started it was pretty much mandatory to have dark locks for that ‘derby look’. I was a rare blonde at the time. 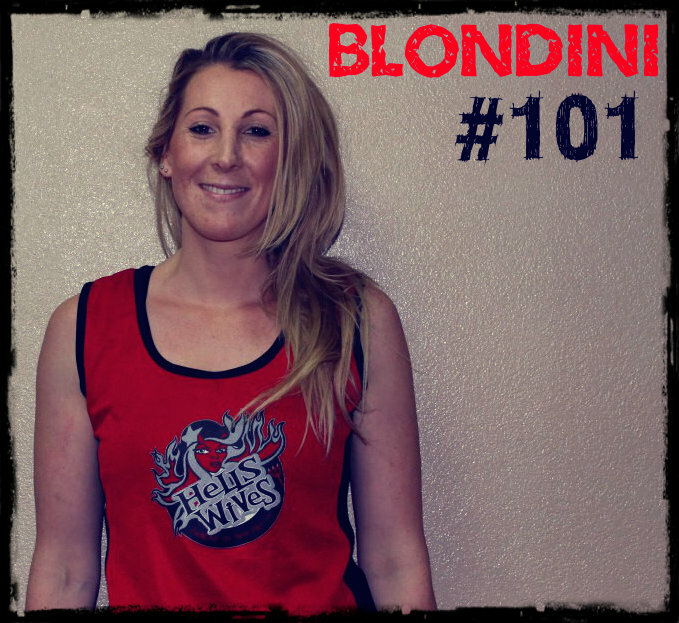 My number 101 comes from the Ash Blonde hair 10-1. 3) Most memorable moment in derby career so far: Jumped the apex once when jamming. Landed it, kept skating totally oblivious to the fact the other jammer had called it off while I was mid air. Realised half way round the track, then fell over myself in true Blondini style. 4) Most afraid of: Not too keen on caterpillars – they freaky! Except the dance move that’s just pure talent. 5) Best derby advice: Given to me: Definitely to ‘root’. To give: Just try it, call it or ask it. Don’t be afraid of being ‘wrong’. 6) Life motto: No regrets. There was a reason you did/didn’t do it. 7) Fitness regime: 2 trainings a week. I try to run for ½ hour on the other days or at least do some squats, sit ups etc in my lounge. 8) Derby goal: I hope to be able to inspire someone to come and try Derby. This entry was posted on August 25, 2015 by nnderby. It was filed under EVENTS! .